I guess I should backtrack a bit and give you a little background info. I've worked in human resources on and off for 6+ years. It wasn't necessarily something I aspired to do. I enjoyed the personnel management courses I took in college, but I wasn't sure what I wanted to do with my life. After college, I worked in the higher education field in a few positions. And then I first entered the human resources field as a HR assistant for a college. I was low woman on the totem pole, but it felt like the right field for me and the way my brain works. Fast forward a few years, and I held a couple of HR positions for a federal agency. I enjoyed the atmosphere and the people I worked with, but I was admittedly bored with my job and tired of the commute which was short in distance, but long in traffic. Prior to working there, I had only stayed at previous jobs for a year or two - always on the lookout for the next gig. But I had small children at that time and enjoyed the stability and job security and stayed for about 5 years. Being bored in my job, I looked for other opportunities and found one with a small company that felt like it was designed specifically for me. The job description was perfect... on paper. I'd be able to grow with my responsibilities and, along with a part-time employee, we'd be in charge of the whole HR operation. So I decided it was time to move on and move up and I took the job. Long story short, after 3 months, I was on the verge of a nervous breakdown. One evening, after sobbing in my car on the way home, which was a normal activity at that point, something snapped. I cautiously said to myself out loud, "I'm not going back," to see how it felt. And it felt amazing. The next morning, I quit. 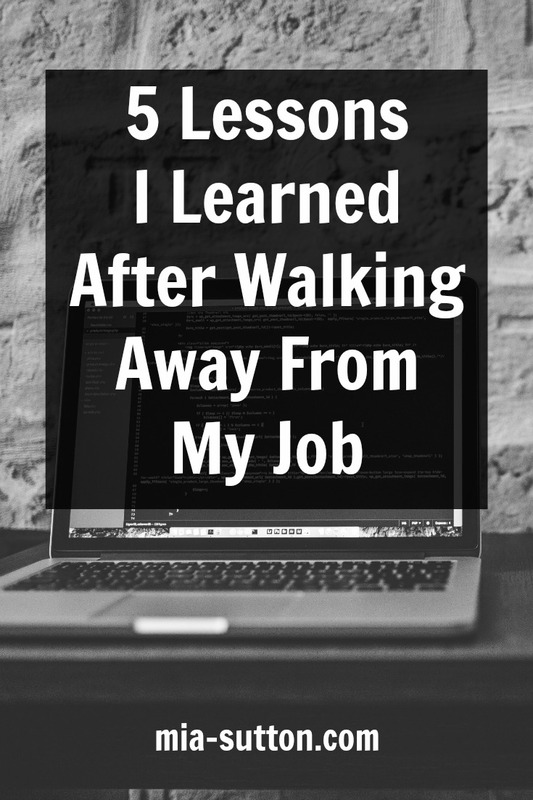 Now, almost 2 years out from that experience, I want to share 5 lessons that I learned after walking away from my job. 1) Listen to your mind and body. When you reach your breaking point, you'll know it. And when that happens, it's time to go. I have never, not once, quit a job without having another one lined up. But the stress and anxiety was unlike anything I had ever experienced before. I was terrified at first. But it felt like a 5-ton weight had been lifted from my shoulders. I don't regret it for a second. 2) There are pros and cons to working for a small company. Pros: More responsibility. More creativity. More input on company-wide policies and procedures. Less bureaucracy. Cons: Low morale has a bigger impact on the workplace. Less downtime. No avenue for complaints when your boss is the owner of the company. 3) Pay more attention to red flags. There were some offhand, joking comments during my interview that bothered me and I should have followed up on it and asked more questions because they weren't jokes. I also should have asked about why my predecessor quit. I found out later she worked there for only 5 days. Also, a friend of mine warned me before I took the job, but I didn't listen. So, I have to own up to my own mistakes here. 4) Stand up for yourself. There were many times I held my tongue because I didn't want to deal with the drama. I'm a quiet person. Very laidback. It takes a lot to make me angry enough to say something because I don't like confrontation. But the way people were being treated - not just me - oy vey. I should have done more to speak up and try to stop it. It probably wouldn't have worked and I would have ended up fired instead of quitting, but at least I could say that I tried. This kind of goes along with the last lesson, but no job is worth that amount of stress and anxiety. I toyed with the idea of leaving for a while (I went on a job interview 2 days before Christmas, I was so desperate to get out of there! ), but was more worried about other people's opinions and reactions. What will people say? What about bills? Insurance? How will I explain it on my résumé? Spoiler alert: none of my employers after that cared why I quit after 3 months and I had no problem getting hired on the spot, twice. I thought that quitting would make me a failure in the eyes of other people. But the not sleeping and the panic attacks and the stress and everything else - that was the real failure. For the first time in my life, I truly 100% put myself first when I quit. And it changed my view on life and self-esteem. I'm more important than that. My tolerance for that kind of nonsense is much lower now and I find myself more empowered to say no. There are a million other jobs out there in the world. So, there you have it. As much as it sucked at the time, I'm glad I had the experience. It taught me a lot, especially about myself. 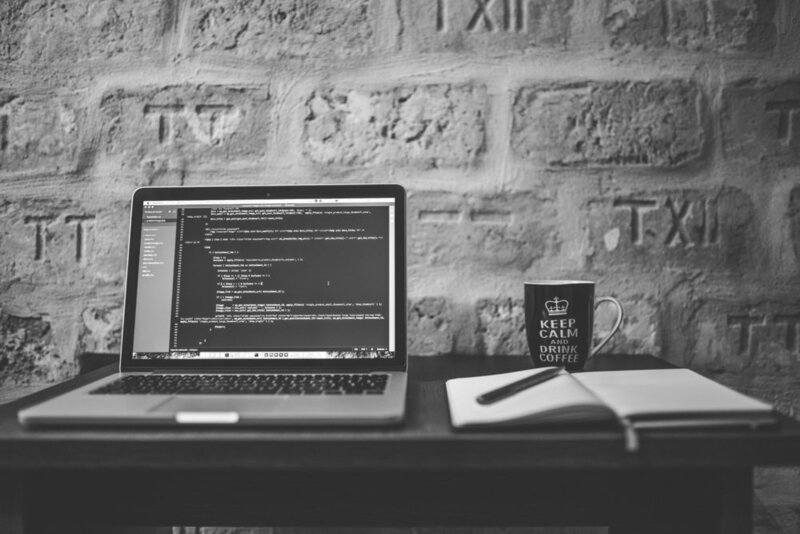 Tell me some lessons you've learned from your previous jobs. Comment below, I want to hear all about it.